Long-distance relationships can often be the make or break of a relationship. Nobody wishes to live a car, train or plane journey away from the one they love, but sometimes life forces our hand and we find ourselves having no choice but to try and make it work. Some research even shows that individuals in long-distance relationships may enjoy certain advantages over those who are not. Guess there is some truth to the adage ‘absence makes the heart grow fonder’. If you have found yourself in a long-distance relationship and are hoping to pick up a few tips on how to make it silky smooth, read on. Many people feel they have to overcompensate for the fact that they’re not seeing their partner every day by constantly messaging and calling multiple times a day. In fact, this can actually make things worse, it could come off as clingy and possessive, and you will eventually run out of things to talk about and become bored of each other. Make yourself miss your partner enough to want to talk to them and let enough happen in your day so that you can actually have a conversation with them rather than telling them about what snack you just ate. If you’re never going to make the effort to visit each other is there even any point trying to give the long-distance relationship a go? Unless you are waiting on a spouse visa UK so that your partner can move countries to live with you, you have to have time to look forward to when you know you are going to be seeing your partner. Otherwise the whole thing will seem like a chore and it will be tougher as you will have nothing to look forward to. Make sure you set out a time-frame that you have to see each other by and time will start flying by. You both need to be clear with each other about what you are expecting out of the relationship and to make sure you are both on the same page. If you decide to call each other at certain times or on certain days, make sure you both stick to those plans. It will make the distance easier if you have certain time commitments with one another to look forward to, as if you are meeting in real life. Do things with each other than talk on the phone. Play online games together, watch television programs or films at the same time, sing to each other on Skype or face time, do online shopping and ask for each other’s opinions. By splitting up your time with distance-based activities, you will create things to talk about and it will seem like you are in the room together. Remember that you are together because you have fun with each other and that should not stop just because you are not near one another. Create as many memories as you can during this time and it will make your relationship stronger. A lot of couples feel that when they finally get to see each other after a time apart, that there is no time to lose. 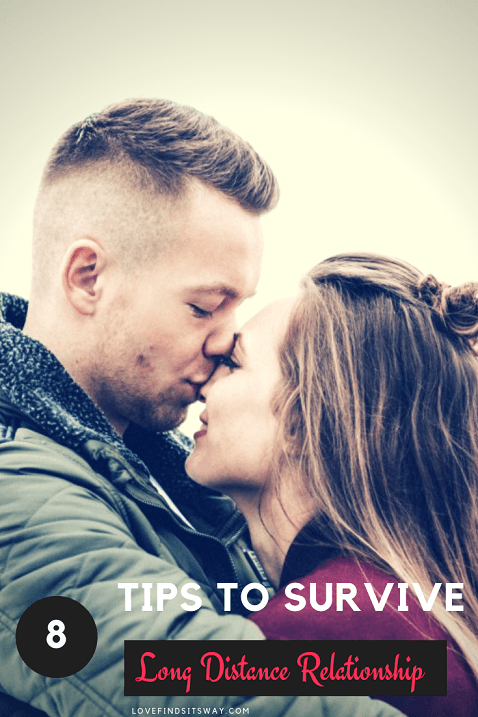 They will plan every minute they have to spend together, and it can end up being a double-edged sword and start stressing both sides of the relationship. You can’t forget that intimacy is built in the small moments and a day in bed, lounging about the house and watching cheesy romcoms could be better for your relationship that an excruciatingly detailed day in town. This is probably one of the most important lessons you will need to learn when embarking on the struggle of a long-distance relationship, trusting one another. You need to be able to earn it from your partner just as much as they need to earn it from you. It is important to remember that there are loads of ways that breakdowns in trust can ruin a relationship. Can you count on them? Will they answer their phone when they said they would? Are you frequently pushed aside when something ‘important’ comes up? Do they remember what things are important to you and listen to things that you say? All of these questions apply to you as well, you have to make sure that you are a partner worth having. You may not think it to start off with, but there are positives that come with being in a long-distance relationship, you can even celebrate this challenge as a couple as something that will bring benefits despite having drawbacks. Being apart will make you appreciate each other more and make you feel positive about what the distance will be able to bring to the relationship. Changing the way you think about the distance will give you hope and make you feel in control of the situation. Make sure that just because you are now trying to focus on quality communication, it doesn’t mean you should leave out the smaller details of your life when talking to your partner. Distance can make people grow apart, so it is important to ask them about the small parts of their day. Who did they talk to at lunch? What podcasts are they listening to? What are they going to have for dinner tonight? Questions like this not only give you a snippet of your partners life, but also make them feel like you care about them because of all the small questions you care about. Don’t think that ‘boring’ details of your day shouldn’t be shared. Of course, no one needs a minute by minute breakdown of your day, but little details about your day that add a bit of flavor to your conversation will only bring you and your partner closer in the long run.